Potatoes. So simple, so perfect. We like the idea of anywhere homaging the humble tuber. 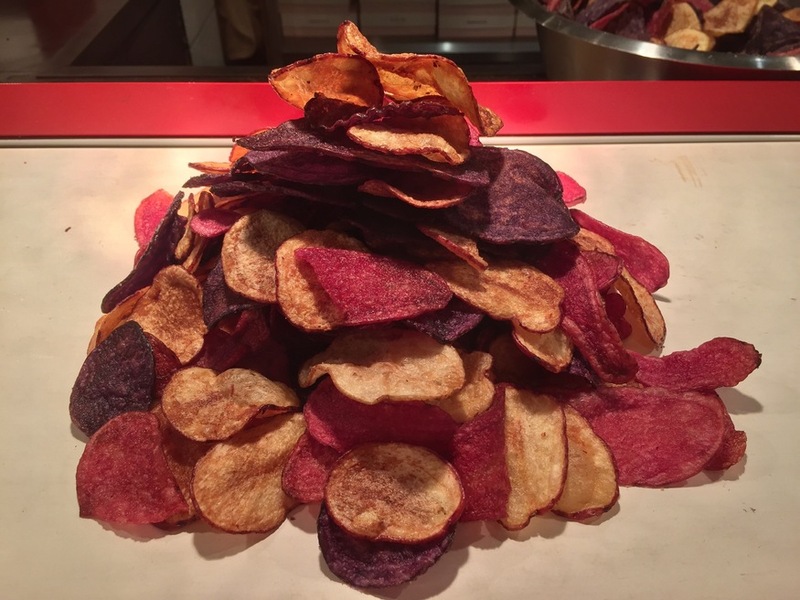 And there's a lot to like about HipChips, a single-focus bar serving just crisps and dips. Interesting drinks list, friendly staff and a comfy seating spot in the back of the bar all make it a decent place for a pre-theatre snack. The actual chips and dips? There are hits and misses: some are emphatically potatoey, flavour shining through the salt. Others are a bit blander, while a purple variety's beautiful but low on crunch, making for an oddly chewy crisp. On balance we reckon you're no better or worse off than with a supermarket grab bag from the posher end of the crisp spectrum. Ditto the dips. Our mixed box of six comes with a trough of crisps — we go half salty, half dessert crisps, dusted with sugar and cinnamon. Some of the dips are brilliantly moreish: the smoky cheese fondue's great for obvious smoky, cheesy reasons, and the Moroccan yoghurt's citrusy and honey-sweet, with a kick of heat. But the smokiness and garlicky hit's missing from our baba ganoush, and the dessert dips — like the Campfire S'mores, chocolate mousse topped with marshmallows — are only for the seriously sweet-toothed. 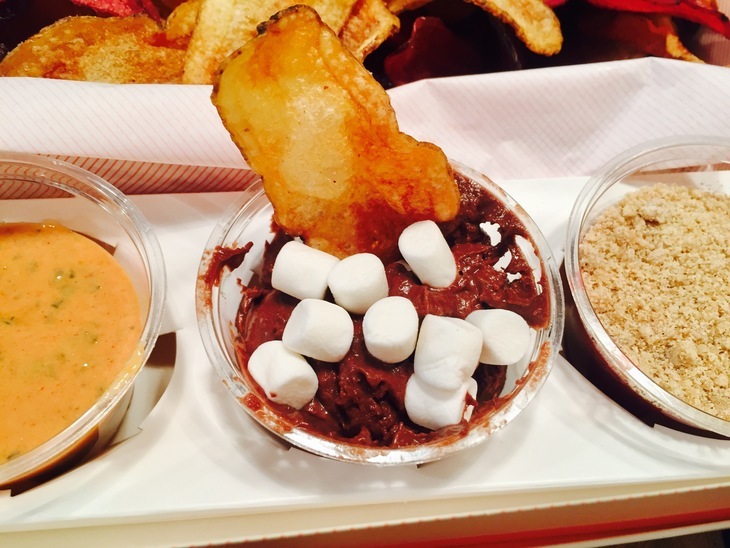 Campfire s'mores: chocolate mousse, marshmallows and sugar-dusted crisps. Travesty or genius? An evening spent on the potato isn't going to be a bad thing. But is this Soho spot any better than the crisp feast you could knock up in your own living room with a tenner and a Tesco Metro to hand? We're on the fence. HipChips, 49 Old Compton Street, W1D 6HL.